If you’ve been comparing Kratom strains and have wondered if Bali gold was the more premium of the strains, the answer is yes…and no. To be clear — it could have been yes years ago when the Bali gold Kratom strain was exclusively produced in Bali, living up to its “gold” name. However, when the demand for the product increased, larger companies started manufacturing more Bali gold, making it more accessible to consumers everywhere. This doesn’t mean the quality of the product has decreased, nor has its benefits lessened. The truth is, the gold color in this strain is not because the plant’s vein or stem is gold. It comes from a red vein strain that has been dried for a more extended period. As a result, the color of its leaves transforms from red to gold. The Bali Kratom strains are mostly known for their painkilling ability. This Kratom, in particular, is known for treating even cases of chronic pain and some users have reported being able to function much better as a result of regularly taking it. Relief from pain – The analgesic effects of the Bali gold Kratom can help soothe muscle and body aches without the need for pricey medications and synthetic drugs. 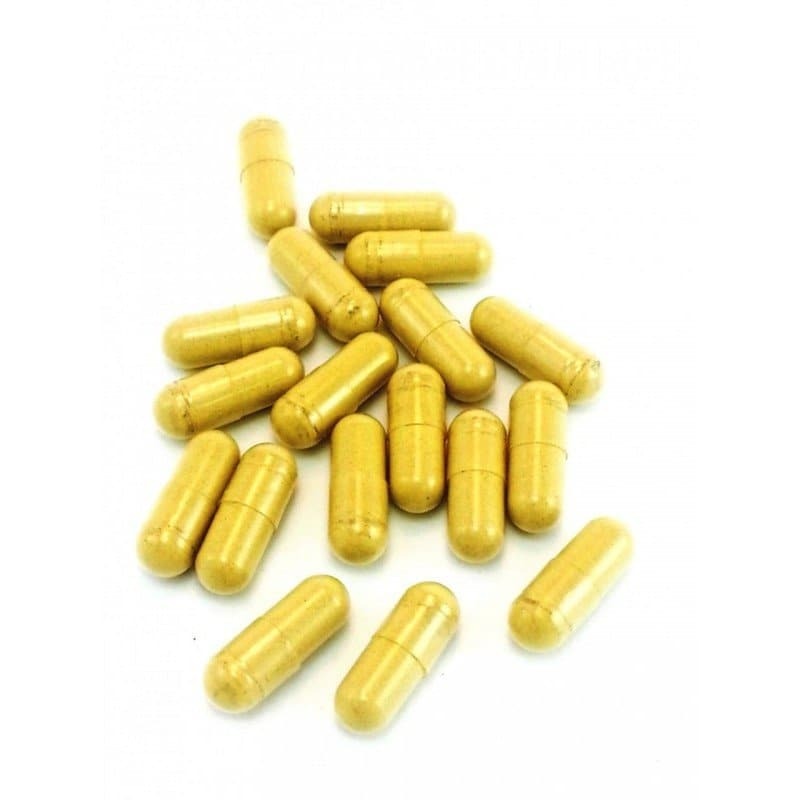 A cure for anxiety – One of the notable benefits of the Bali gold Kratom is its ability to provide a calming effect that can result in a remarkable reduction in your anxiety. It can help you deal with social situations with more ease. Improvement in appetite. – If you have trouble managing your diet due to a lack of appetite, it can help. Its intake encourages an improved appetite shortly after consumption of the product. Aid for sleeplessness – The sedating effects is ideal for helping treat insomnia or isolated cases where you badly need a good night’s sleep. This natural remedy will relax your muscles and calm your mind so you can rest easy. Boost in the mood – Without encouraging too much activity or stimulating energy, compared to other more potent strains, this Kratom strain provides a calming effect in your mood and outlook. Help in dealing with opiate addiction – Another impressive benefit is its ability to help address opiate withdrawal symptoms and addictions. How Much Is Just Right and Too Much? When it comes to how much gold is healthy to own, ideally the sky’s the limit. When it comes to ingesting gold, however, circumstances are different. If you’re trying this variant for the first time, it would be wise to begin with the smallest recommended dosage. The threshold dosage is 1.5 grams. You will experience a subtle effect, which will increase after a few hours. The light dosage is 2.0 to 2.5 grams. This will result in the primary expected outcome of the Bali gold Kratom. The moderate dosage is 2.5 to 4.0 grams. You will experience more effects due to this higher dosage. The high dosage is 4.0 grams to 6.0 grams. While some users may be able to tolerate this increase in dosage, there is a possibility you may experience some side effects such as an upset stomach or nausea. The very high dosage (which is not recommended) is anything beyond 6.0 grams. If you feel your current dosage is not giving you the effect you want, you may be tempted to increase your dosage up to 9.0 grams, but you will undoubtedly experience adverse side effects as a result of this. The Bali gold Kratom strain is a fascinating remedy from nature. This new organic product may replace other methods or medications you have used in the past, but are not happy with. However, as with any new product, it is always advisable to be responsible and careful with purchasing and ingesting anything. Aside from consulting a health professional, make sure you purchase your Bali gold Kratom from reliable sources. It’s always good to compare products and reviews and keep in mind that sometimes, a high-quality product is worth the investment.